"Here he comes to save the dayyyyy!" It seems pretty much all the releases featured this week have already been seen in North America, though there is something new in the form of some additional DLC for Mega Man 10 and Simply Solitaire for the DSi. Since some of these releases only came out Monday in North America we don't have reviews up for them all just yet, but bear with us, they're coming. WarioWare: D.I.Y. Showcase (800pts – Nintendo) – People seem to like a little WarioWare and Nintendo thinks people will like it even better if you can create and share your own. Read our WarioWare D.I.Y. Showcase review to find out why we thought this was an excellent companion to WarioWare: D.I.Y for the DS, also set for release in Europe this Friday. 5 Arcade Gems (700pts – Nordcurrent) – Nordcurrent's WiiWare debut leaves something to be desired, so have your loupe handy when reading our 5 Arcade Gems review. The Mega Man 10 Pay & Play Add-on Content takes the form of Endless Attack Mode (300pts) and Special Stage 2 & 3 (100pts each). 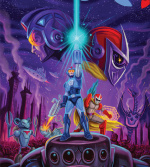 Don't forget to read our first DLC round-up and our Mega Man 10 review! 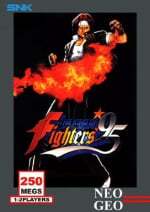 The King of Fighters '95 (900pts Neo Geo – D4 Enterprise) – The classic fighter comes to Europe. Our review of the North American release is coming soon. Save the Turtles (500pts – Sabarasa) – European wildlife puzzling fans rejoice, now you too can "save the turtles!" Read our Save the Turtles review to find out why the "!" is justified. 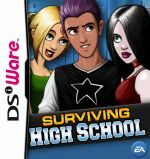 Surviving High School (800pts – Electronic Arts) – Though decidedly American in tone, the story-based gameplay should have international appeal. Read our Surviving High School review and learn why fans of narrative-driven games should be interested in this one. DoDoGo! (800pts – Neko Entertainment) – This egg-rolling game looks cute and we should have a review up soon. Simply Solitaire (200pts – Engine Software) – From the makers of Simply Mahjong and Simply Sudoku comes this game featuring 50 puzzles to while away the hours with. We'll let you know if it's worth your time or not. VT Tennis (500pts – Virtual Toys) – Tennis for your DSi. Read our VT Tennis review to learn our thoughts on it. 28th April 2010: Let your creative side shine this week as WarioWare™: Do It Yourself - Showcase is available on WiiWare. Play and share wacky microgames with your friends and showcase your WarioWare creations on the big screen. On Nintendo DSiWare this week you’ll be called upon to Save the Turtles from predators such as crabs and seagulls, struggle to master the art of SURVIVING HIGH SCHOOL and fight your way to the top of the tennis championships in VT Tennis. If that wasn’t enough this week , get ready to fight legendary warriors from Fatal Fury, Ikari Warriors, Psycho Soldier and Art of Fighting in THE KING OF FIGHTERS '95 as it becomes available for you to download on Virtual Console. Play wacky microgames with friends and show off your WarioWare creations on the big screen with WarioWare: Do It Yourself - Showcase, the perfect companion to WarioWare: Do It Yourself available on Nintendo DS. Compete with other knights to beat the Evil Wizard's challenge in Templar Bashing and let no hazard get in the way of the dutiful Pizza Jungle Delivery company, not even the fierce savages who won't tip! VT Tennis is an 'Ace' of a tennis game for the Nintendo DSi. Train your budding tennis star to serve, lob and smash your way to victory with precision swipes in all directions, using its innovative stylus and Touch Screen controls. Advance your player statistics in this fast-paced tournament of game modes, featuring Quickmatch, Tennis School & World Championship. Engage in battle once more in this classic fighting game from 1995. The main characters from classic series Fatal Fury, Ikari Warriors, Psycho Soldier and Art of Fighting return, ready to continue the fight from King of Fighters '94. Joining them is Iori Yagami, a rival of hero Kyo Kusanagi, ready to leave his mark on the continuing story - and on Kyo! Three-on-three team battles, a power gauge that unleashes devastating blows and the series' unique one-shot reversal super special moves, all make the jump from the '94 release. But it doesn't stop there; use the new "Team Edit" ability to add a new dimension of strategy to your bouts. The portal also provides step-by-step tutorials explaining how to connect the Wii console to the Internet and how to download WiiWare games, as well as a video showing how to use Nintendo Points. 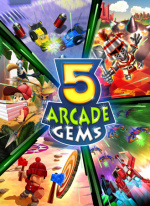 Visit www.wiiware.co.uk for all the details. Downloaded games can be saved to Wii's internal memory or SD card and added to the console's Wii Menu or SD Card Menu for anytime easy access. May as well get KoF95. Even though Super Street Fighter IV is coming tomorrow. Looks like a fair batch, I´ll keep waiting for Blaster Master Overdrive though. It´s good to see some Neo Geo games again, I hope for KoF 96 & 97 someday, and Waku Waku 7. DodoGo! is a great game. Glad you guys got it too! You mean Super Street Fighter IV right, Super Street Fighter II came out ages ago. Solitaire puzzles? What are those supposed to be? Got 800 points spare for WarioWare D.I.Y. Showcase. Looking forward to it! I would get the "full" DS game, but I don't care for creating minigames, I just want to play them! 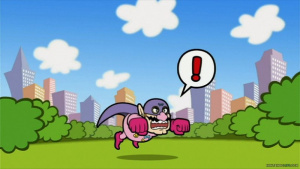 No clue what the Wario Ware game is all about, but I don't really like the serie. So nothing for me this week. Will Australia get DIY? Or will we have to wait a month cause it comes out late May here? Tennis fans may wanna check out VT Tennis. It doesnt have any type of multiplayer, but the touch screen controls work well. i'll be getting warioware for sure, never been a fan of the KoF series so i'll skip, retro rpgs fans will be happy next week, Final Fantasy is next up on the VC list. 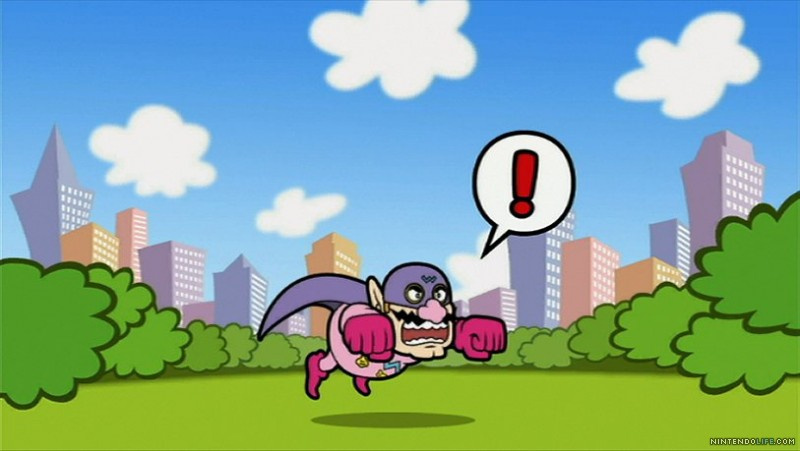 Only Warioware DIY showcase for me. OMG - Solitaire, omg - shi-T tennis, omg - 2 more puzzles and a game about High School! Wow.... or Gods of East and West, make N release Metal Torrent in UK/EU for gods sake.... and make me believe in DSiWare again!!! Yeah I did. I'm quite enjoying it. @Australia Wii only has 1 download, not sure about DSiWare. @Croz: OH SH*T! Hanabi all over again?! Final Fantasy for NES will be a definite download for me, I´ve played through the PS1 version and loved it. The original version still has charm, NES music at it´s best too. It was birthday yesterday, what would have made my day would have been Mario All Stars getting released for VC, I can dream can't I?